Growing pineapples isn’t always all fun and games, but you can produce a perfect pineapple with more information about pests and diseases that affect this plant. Read on to learn about common pineapple pests and plant diseases so you know what you should be watching for as your plant develops and how to treat issues in pineapple. There is something truly intoxicating about the rum-like smell of a properly ripe pineapple, but when you’ve grown that fruit yourself, the experience can be almost transcendent. Because it can take many months for a pineapple fruit to mature, however, the plant has a lot of opportunities to develop disease or pick up pests, like beetles. Fortunately, most common pineapple problems are simple to correct. Mealybugs and scale. These sap-sucking pineapple pests love pineapple as much as you do, so check the undersides of leaves of your plant regularly. With mealybugs, you’ll notice fluffy, wax-like material building up near the fuzzy looking insects. Scale may be less obvious, since they may be hiding under waxy or cottony covers. Both can be treated the same way, using horticultural oil, either by spraying or dipping the whole plant if mealybugs are present at the base of the plant. Nematodes. Various nematodes are attracted to pineapples, ultimately resulting in a sickly plant, reduced fruit production and a generally steady decline. 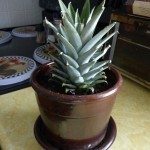 Ridding yourself of nematodes is difficult, so it’s best to not encourage them to begin with by using clean, sterile medium for growing pineapples indoors or in a greenhouse. A three year crop rotation with grasses like green foxtail grass are recommended for pineapples in the garden. If you already have nematodes, the best plan of action is to support your plant with good feeding and watering practices, then dispose of it after fruiting, if successful. Top rot and root rot. These two common fungal diseases can be controlled the same way, though they are caused by different pathogens. Root rot’s only visible sign is a plant that looks like it needs to be watered, with drooping leaves and general signs of distress. Top rot may eventually show up as dead leaves around the center of the plant. Both are caused by overwatering or poorly drained soils. 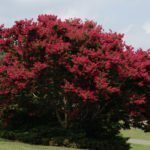 Immediately changing watering practices and repotting in clean, dry soil can help with potted plants, outdoor plants will need bed drainage improvements and paper mulching is recommended. Crookneck. Occurring mainly in plants 12 to 15 months of age or suckers, crookneck is caused by a zinc deficiency in the soil. Heart leaves may become twisted, brittle and yellow-green and the plant itself may bend over and grow in a nearly horizontal position. Eventually, small blisters may form, then develop into gray-brown sunken spots. Treatment is with a one percent solution of zinc sulfate to correct the mineral deficiency. Read more articles about Pineapples.